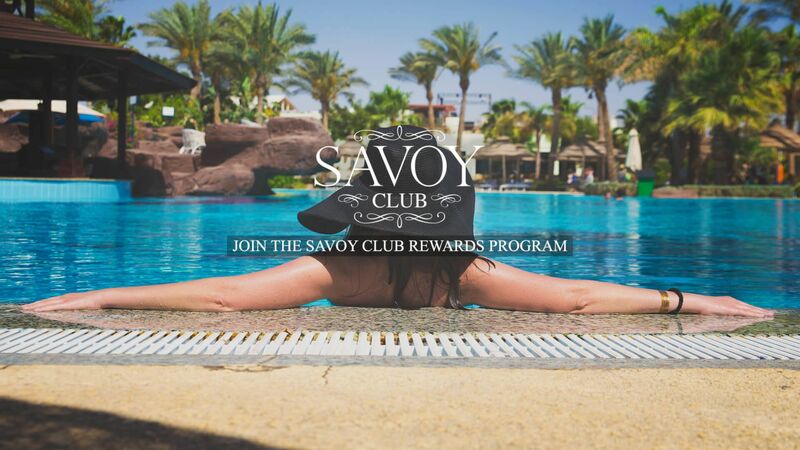 Guests returning to Savoy Group Hotels and Resorts can redeem their earned points for rewards such as free nights, room upgrades, dinners, spa sessions and recreational facilities. …there are many choices. To redeem your points you must make your reservation in advance to ensure accommodation is available. To redeem your points please complete and sign the reward request form available at reception desk or Guest relation desk or send your reward request to savoyclaub@savoy-sharm.com. * Half Board Dine Around, the dinner at any à la carte restaurant. *The hotel voucher reward will be ready less than 48 hours from the date of the reward requested – after reviewing the availability and capacity regulation of requested reward. *Early check in and late check-out may be subject to hotel availability and hotel reception confirmation on departure day. *To redeem your points for early check-in you must make your reservation and send your request in advance to savoyclub@savoy-sharm.com to ensure accommodation is available.